The Butterfly Garden társasjáték - Magyarország társasjáték keresője! A társasjáték érték! A The Butterfly Garden egy remek társasjáték, 2 - 6 játékos részére, az átlagos játékidő rövidebb, csak 20 - 40 perc. A társast, 8 éves kortól ajánljuk kipróbálni. A játékmenet erősen épít a kollekció gyűjtés, az aukció/licit, az egyidejű akciók, a pakli tervezés és a kártya húzás mechanizmusokra. 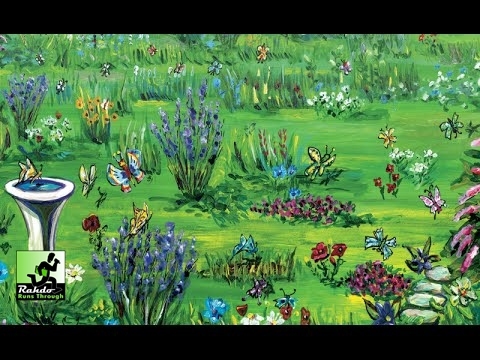 In The Butterfly Garden, you are an avid butterfly collector and the local butterfly garden needs your help expanding and diversifying its collection. 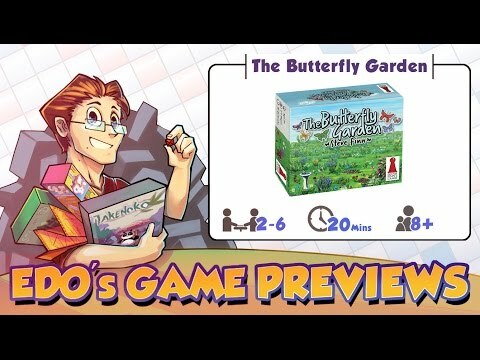 Capture highly desired butterflies, put them in your trusty jar, and deliver them to the garden to gain respect from the collecting community and to help diversify the garden — but watch out for your opponents as lepidopterists can be quite devious! The game is played in a series of rounds. 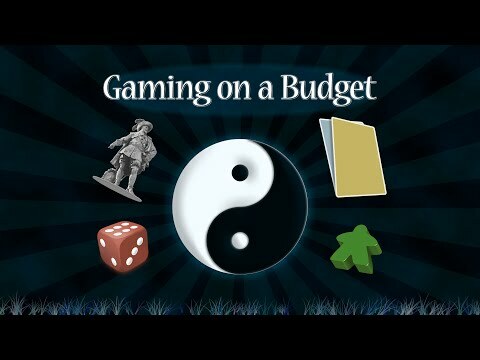 Players start each round by playing a card from their hands to determine the round's turn order. 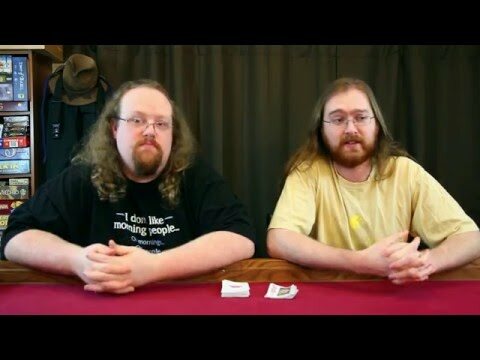 Cards are numbered from 0 to 59, and lower numbered cards will go first. 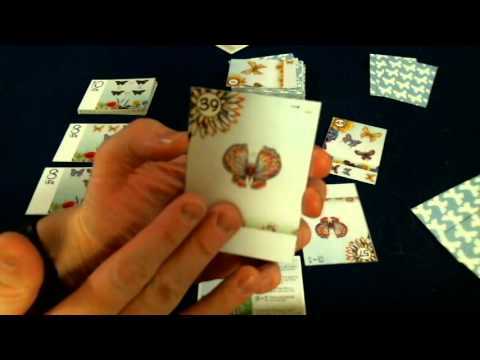 On a turn, a player captures butterflies from the field and adds them to the jar (i.e., they take a card from the row of face-up cards and tuck it under their jar card). 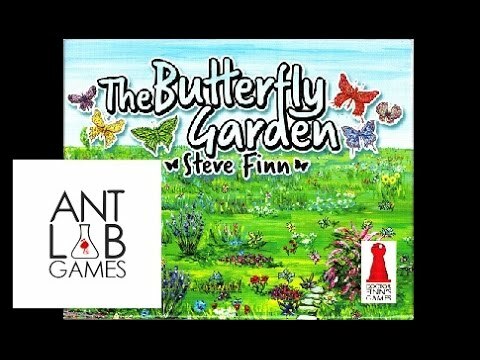 When possible, players "deliver butterflies" from their jars to the zoo's butterfly garden to score victory points (VPs). Which butterflies can be delivered is indicated on the face-up "delivery cards" and players are often in a race to deliver butterflies to take the cards and score points. The player with the most VPs at the end of the game wins. 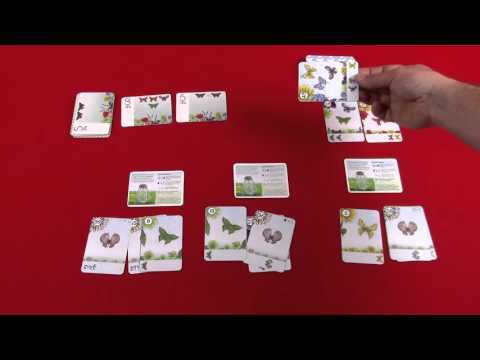 During the game, players must carefully decide which butterfly cards to play. 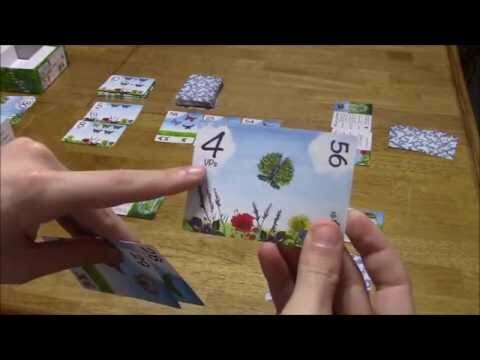 By playing lowered numbered cards, players not only get a better pick of butterflies in the field, but they also get first chance at delivering butterflies. However, lower numbered butterfly cards usually have fewer butterflies on them, so players cannot add as many to their jars. Also, butterfly cards with special powers usually have high numbers, so you often must sacrifice turn order in order to use one of these special powers.